We provide a variety of different electrical services to both residential locations in Tampa, FL and are here to save you time, money, and hassle. When you need an electrician in the Tampa, Florida area, you want one who can handle all of your electrical needs without a problem. At 5 Star Electrical LLC, this is one of the main things that sets us apart. Not only can we effectively handle all of your electrical needs, but we also provide a variety of different electrical services to both residential locations and are here to save you time, money, and hassle. Although our services are highly varied, there are two main types of services that we provide. The first category of services we offer includes residential and commercial installs and remodels. We can rewire your home, wire the custom home you are in the process of building, and wire your pool house. If you ever run into an electrical problem, we can take care of it with our electrical repair and lighting repair services. When it comes to electrical installation, there’s almost no limit to what we can do. 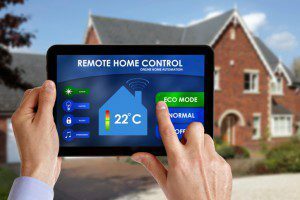 We can do basic lighting installations, smart home installations, security system installations, thermostat installations, home theater installations, sound system installations, and more. The second type of services we provide are specifically designed for commercial locations. We can perform commercial electrical repair, commercial electrical wiring, and commercial electrical installations. If you need new office lighting, new franchise lighting, restaurant lighting, or retail lighting, we can handle the job with precision. 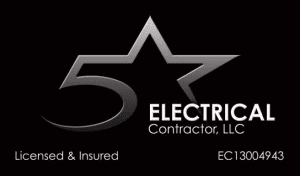 The next time you have an electrical project on your hands, turn it over to us at 5 Star Electrical LLC. We’re confident that you will benefit from working with us, thanks to our dedication to performing high-quality work for an affordable price.